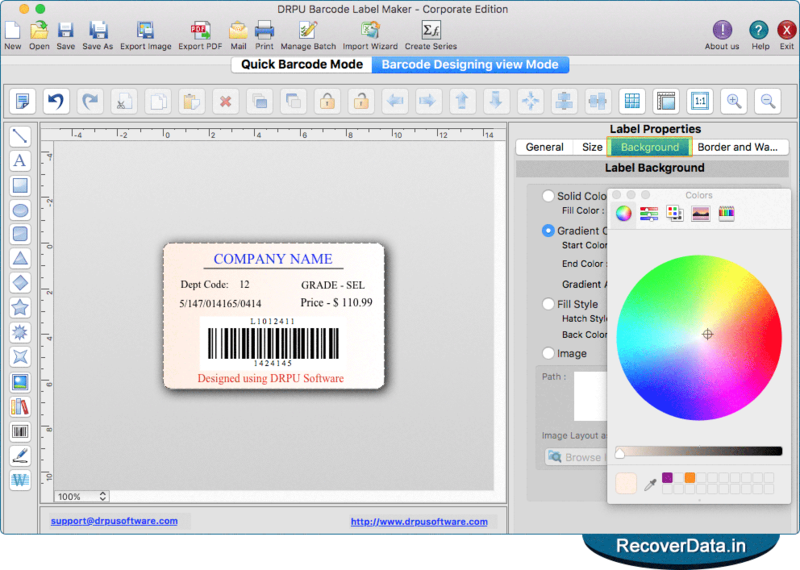 Create Barcode Label using Barcode Designing View Mode of software. 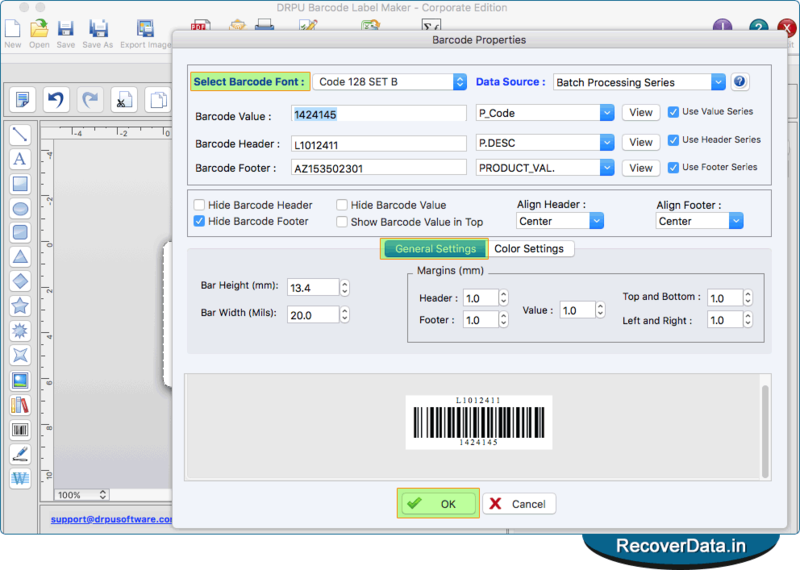 You can generate barcode labels in different shape such as rectangle and rounded rectangle. 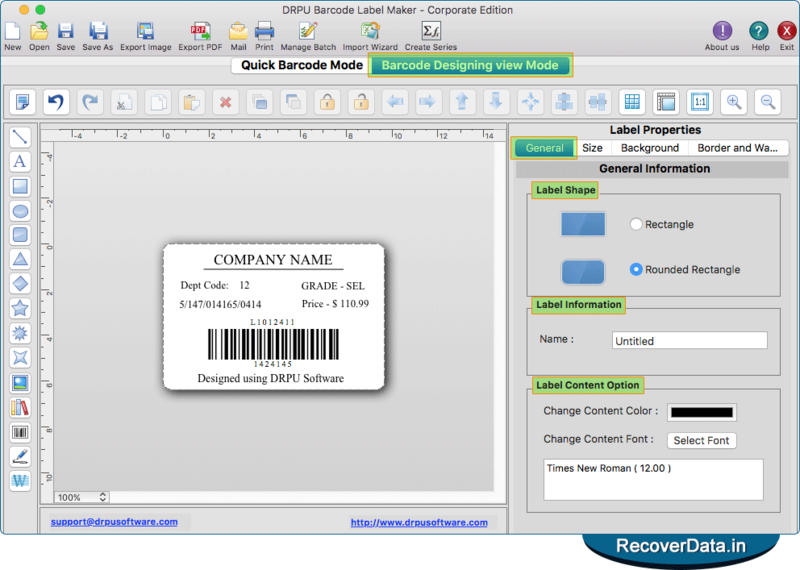 You can add text on barcode label by clicking text icon and adjust various text properties. Set background of label by Solid Color, Gradient Color, Fill Style and browse image or select from library. 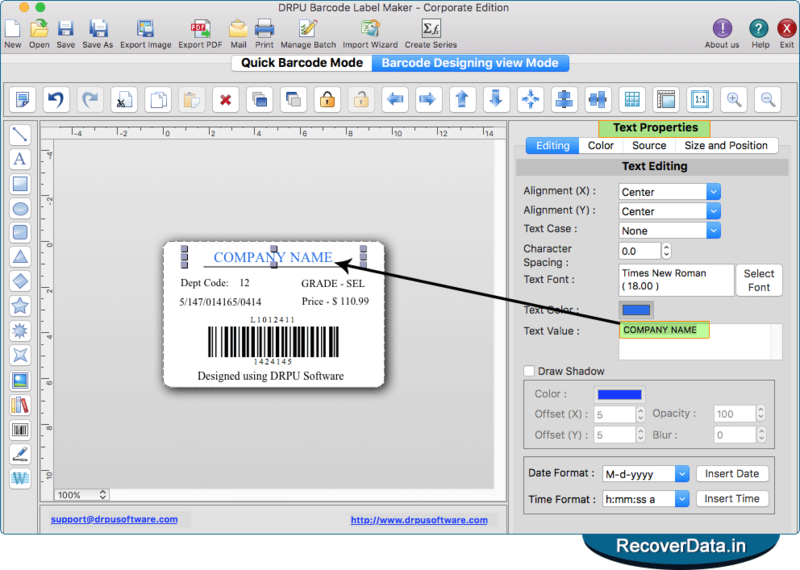 Software has option to add barcode on label by clicking barcode icon and double click on barcode to fill its properties as shown above in screenshot. 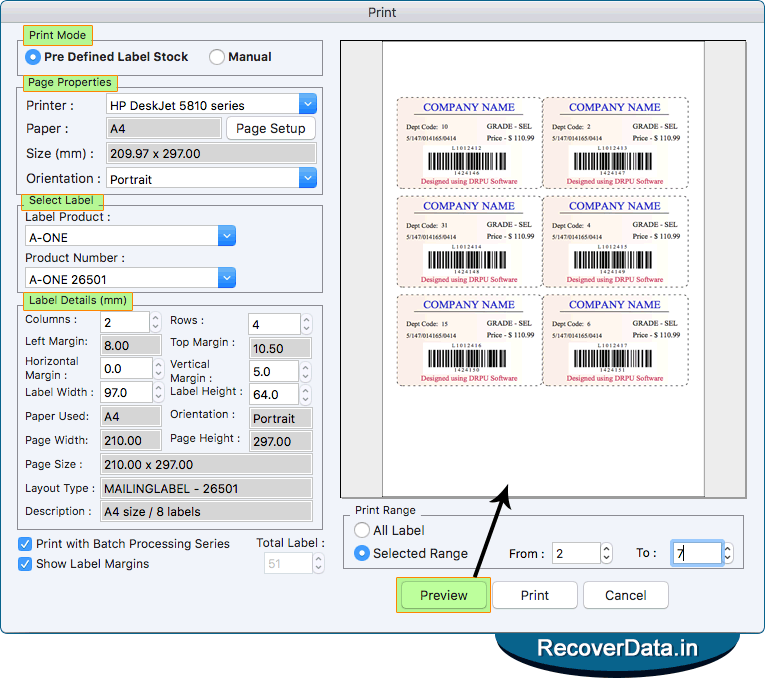 To print created barcode label, fill various print settings and click on Print button. To see the print preview of barcode labels, click on Preview button.